Ajith is one of the finest gentlemen I have ever seen. He is not only down-to-earth, but extremely genuine. Mahat Raghavendra (Image courtesy: Wikimedia Commons). 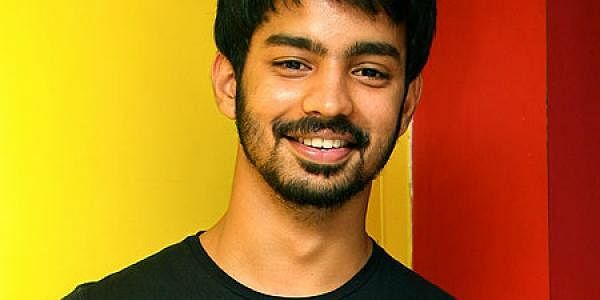 Not many know that Mahat Raghavendra played a small part in ‘Vallavan’ (2006). His ‘big break’ however, came as Mahat, the bar owner in the recently released ‘Mankatha’. After graduating from Hindustan College, Mahat Raghavendra was struggling for the right script. But with luck shining down on the young, energetic and ambitious actor, he was soon starring alongside Ajith in the star’s fiftieth movie. Attributing his success to his friends, especially Dayanidhi Azhagiri, Raghavendra reveals his goals. How was your experience working for Venkat Prabhu in Mankatha? We had a lot of fun with Premji,Vaibhav and other friends. Venkat gave us our own space and sometimes even asked us for suggestions. He is more like a brother and treated us with respect. How was it working with Ajith? Ajith is one of the finest gentlemen I have ever seen. He is not only down-to-earth, but extremely genuine. Working alongside him was a great learning experience. People like such movies, and they are great hits. I am open to any role and not a big star to reject movies at this point of time. Every star has a dream role, what about you? I would like to do negative roles with a hero’s touch to it. Something like Ajith in ‘Mankatha’ (2011) or Al Pacino in ‘Scarface’ (1983), which has a fantastic plot and is my favourite movie. Stardom must have got you a huge fan following. How do you handle it? I am given a lot of attention and importance. People recognise me on the road and it feels great, but I hope it does not intrude into my privacy. My friends are my strength. My weakness would be that I am short tempered, sensitive and emotional. Are you game for re-makes? Good work is always appreciated and as I mentioned earlier, I am open to all roles and would choose those that can bring out the best in me. Jim Carrey. I like Santhanam too — I wish I could wise-crack the way he does. Can we see you diversify into different languages? I am fluent in Telugu, so I really don’t mind doing Telugu movies, but I am more comfortable with Tamil. I have been offered three movies. One of them will be directed by A Majid (‘Thamizhan’ fame).